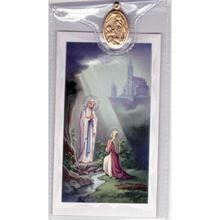 Our Lady of Lourdes is a title of the Blessed Virgin Mary venerated in honour of the Marian apparitions that occurred in 1858 in the vicinity of Lourdes in France. The first of these is the apparition of 11 February 1858, when 14-year old Bernadette Soubirous told her mother that a "lady" spoke to her in the cave of Massabielle (a kilometre and a half (1 mi) from the town) while she was gathering firewood with her sister and a friend. 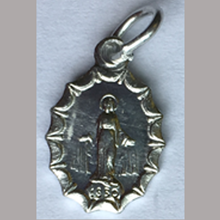 Similar apparitions of the "Lady" were reported on seventeen occasions that year, until the climax revelation of Our Lady of the Immaculate Conception took place. 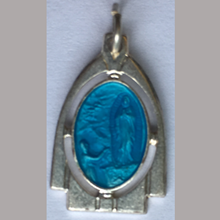 Our Lady of Lourdes is a title of the Blessed Virgin Mary venerated in honour of the Marian apparitions that occurred in 1858 in the vicinity of Lourdes in France. 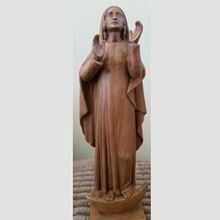 New statue based on the one at Aylesford Priory. 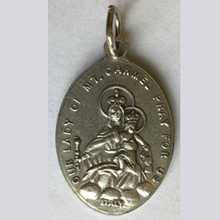 Specially commissioned by the Carmelites. 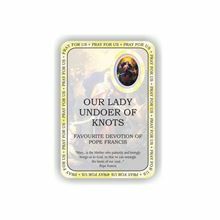 Pope Francis has a special devotion to The Blessed Virgin Mary, Untier of Knots. 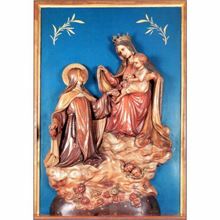 It is the name of a Baroque painting entitled Wallfahrtsbild painted by Johann Georg Melchior Schmidtner (1625-1707) in 1700 and displayed in the St. Peter am Perlach in Augsburg, Bavaria. 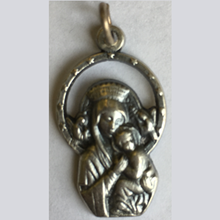 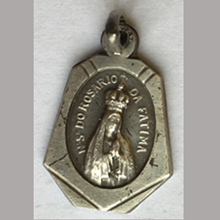 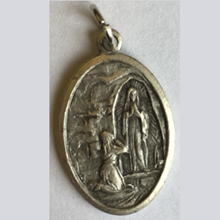 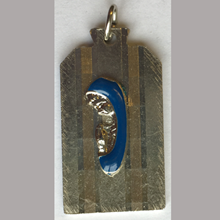 The Miraculous Medal (French: Médaille miraculeuse), also known as the Medal of the Immaculate Conception, is a medal, the design of which was originated by Saint Catherine Labouré following her vision of the Blessed Virgin Mary and made by goldsmith Adrien Vachette. 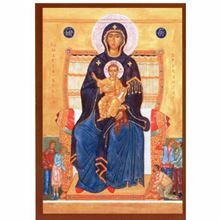 This prayer card includes the image and a prayer for Our Lady of Hope.